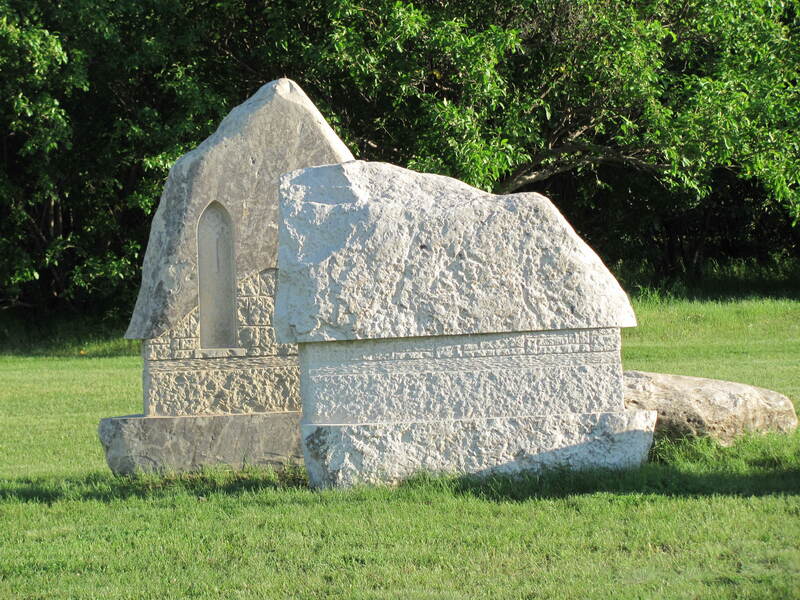 This entry was posted in Outdoors, Photography and tagged Art, Saskatchewan, Saskatoon, Sculpture, Sculpture Garden, Summer, University of Saskatchewan. Bookmark the permalink. ← Snowshoeing – Snowy Owl, West Bragg Creek, December 2014. 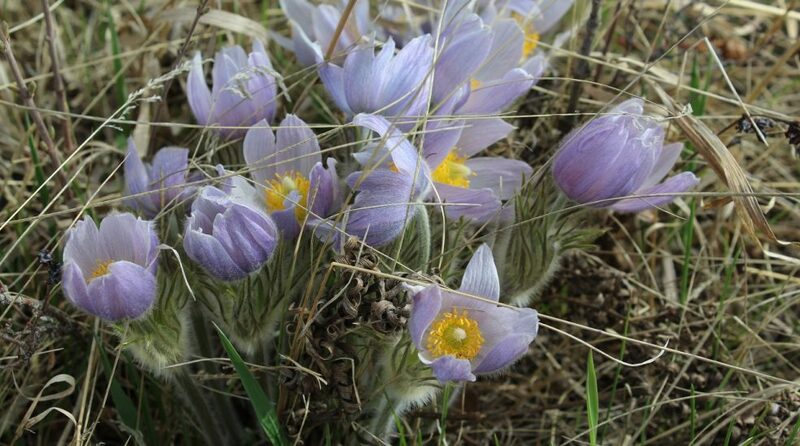 This is a beautiful…different type of a garden but still a garden well worth viewing. It was a delight to walk through, that’s for sure. So beautiful, we have a sculpture garden on the campus of Pratt University here in Brooklyn, I love walking through it. Wow! – I found a link that shows photos of some of the sculptures in the Pratt University sculpture garden – absolutely amazing works! 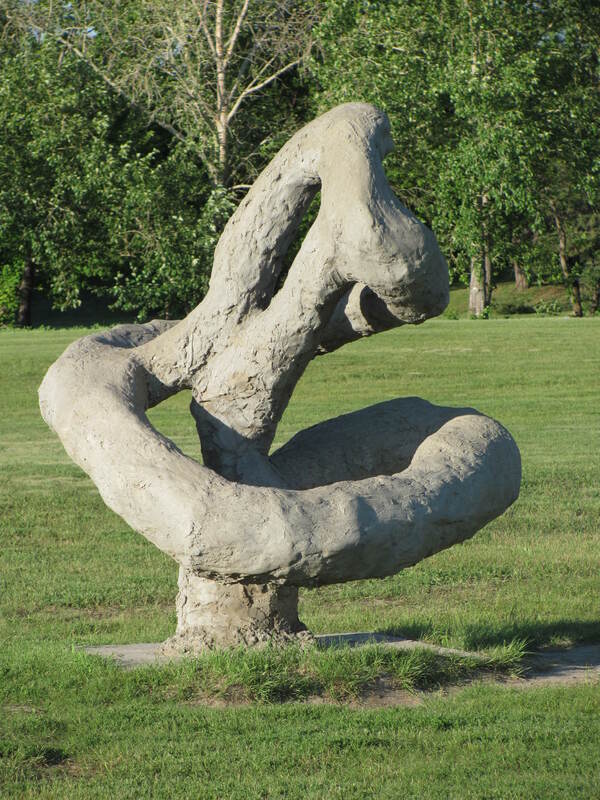 https://www.pratt.edu/uploads/SculpturePark.pdf I can see why you enjoy it so. I like sculpture gardens and also sculpture in flower gardens. I’m not sure that I like the hand. Perhaps if the nails weren’t black I might like it better. The black nails are definitely a bit strange – and I’m not sure I like for the “posture” of it, either. But it’s interesting! Interesting gardens, especially “The Hand”. It is fascinating to see the different styles of art, as they are all done by different artists. I wish I had taken more photos. Hi Sheryl. I think that hand is a bit creepy to be honest! Especially those fingernails… 😉 Out of all of them the last one is the only one that really appeals. I like natural stone and rock and the others look a bit ‘molded’. I’m with you – many of them are made of the same material and seem sort of plastic-like. There are some metal and wood sculptures in the park as well but not as many. I agree that the hand is a little creepy. But how wonderful it is to wander outside around giant sculptures. Years ago, my husband, daughter, and I went to Storm King in New York, where we had a similar experience. It’s really quite the place. Hope you get to see it sometime. 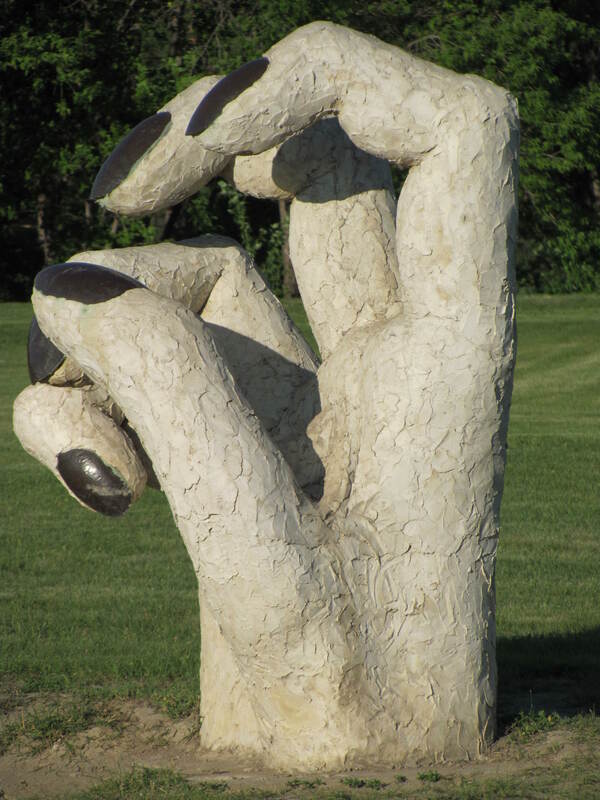 I like sculpture gardens, the hand looks big and scary for some reason. It has definitely got a bit of a creepiness factor! This is a wonderful idea. 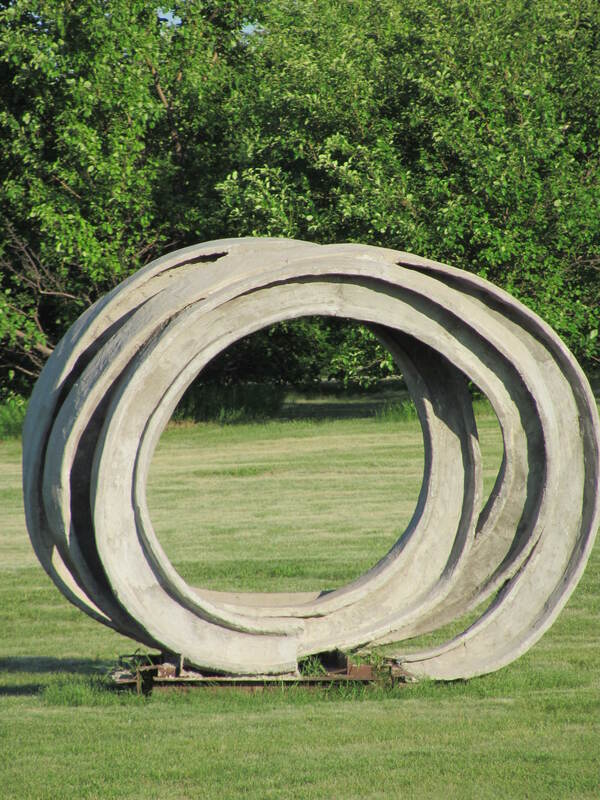 I really like sculpture used in gardens and there’s no better way to show off large pieces like these ones. The painted nail on the hand is a bit weird to me but otherwise I like it. There is such huge appeal in having sculpture and other art in the garden. The thing I particularly enjoyed about this park was the accessibility of these large art works. reminds me of the hand in harry potter and the hand in that old childrens series, whose name escapes me, I’d prefer it without varnished nails to be honest 🙂 – thanks for stopping by and approving of my post for gardening in spring – I can imagine that you too cannot wait for warmer weather and sunshine and flowers – even colder where you are! I liked the one that had the little cathedral nook cut out. I don’t quite know what to think of the rest. I guess I’m not up on my sculptures. That hand creeps me out to be perfectly frank. On the other hand…great post! I agree with everyone above the hand is a bit scaryy:-) But I do like the other sculptures + in gardens with flowers =beautiful!